David Dickieson has over 25 years of litigation experience. The foundation for Mr. Dickieson’s trial work was strengthened by his tenure at the United States Department of Justice Tax Division from 1984 to 1989. In 1988, Mr. Dickieson was the senior attorney assigned to the largest civil tax fraud case up to that time – In re Conti-Commodity Corp. – involving billions of dollars of phantom commodity trades intended to generate tax losses for commodities speculators. Mr. Dickieson’s successful handling of that tax case led to an offer from a premier national tax law firm in 1989. 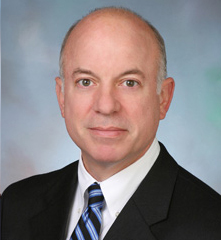 Mr. Dickieson came to Schertler & Onorato, LLP in 2007 after spending 17 years heading up the Washington litigation team of a national law firm that grew to over 500 lawyers during Mr. Dickieson’s tenure. In that role, Mr. Dickieson has been on the front line of numerous tax and commercial litigation matters across the United States. Mr. Dickieson’s private litigation practice has spanned virtually all forms of trial work. In 1990, Mr. Dickieson won a record jury verdict of $7.3 million in a case of optometric malpractice. He has represented clients in Bankruptcy Court, Tax Court, state courts, and federal courts. Mr. Dickieson also has substantial experience in alternative dispute resolution through mediation or arbitration procedures where clients can typically get a quicker, less expensive resolution of civil disputes in a private, confidential setting with no publicity or published decision. In addition to his work on complex business and tax disputes, Mr. Dickieson has developed a successful Sports Law practice. He has represented a prominent sports agent in numerous arbitration and litigation matters spanning the country from Boca Raton to Los Angeles. In November 2016, Mr. Dickieson’s client achieved a landmark victory before the National Football League Players’ Association arbitrator by recovering not only the full amount of the client’s claim, but also an unprecedented attorney fee award in excess of $250,000, while going head to head against one of the largest law firms in the United States. Mr. Dickieson has taught continuing legal education courses in the area of legal ethics and he served as the ethics counselor for his previous law firm for over 15 years. Active in community programs, Mr. Dickieson serves on the Board of Directors of the Washington Lawyers Committee for Civil Rights, as well as on the advisory board of SquashEmpower – a non-profit organization which combines academic tutoring with coaching in the sport of squash for urban middle school children. Mr. Dickieson has also spearheaded numerous pro bono legal activities, including providing teams of lawyers for legal referral clinics for the disadvantaged sponsored by Bread For The City. Department of Justice experience: Trial Attorney, Tax Division, U.S. Department of Justice, 1984-1988; Senior Trial Attorney, Office of Special Litigation, Tax Division, U.S. Department of Justice, 1988-1989.